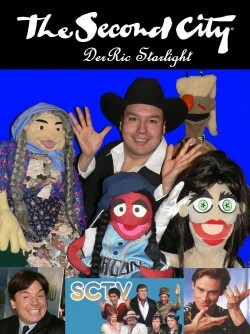 DerRic will be in Toronto for Classes and Performance in The Second City Theater. He will be Travelling to other performance dates across Canada as well. DerRic will be available in the Greater Toronto Area Schools and The Communities surrounding Toronto for Special Discount Pricings. This discount pricing will be available for a limited time ! If you wanted DerRic to come to your school before but could not budget for it , now is your chance !